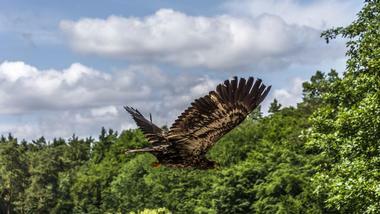 New Hampshire is covered in large expanses of untouched wilderness. The White Mountains in the north cover more than a quarter of the state and most of New Hampshire’s 48 peaks over 4,000 feet high are in the White Mountains. 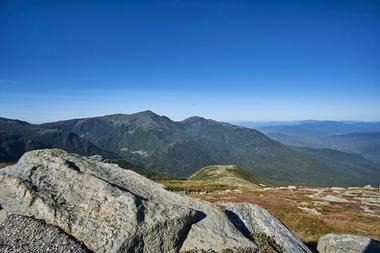 Mount Washington is the highest peak in the region and is a popular and challenging hiking destination. Lion Head is the 5,091-foot-high peak on the eastern slope of Mount Washington between the two glacial cirques: Tuckerman Ravine and Huntington Ravine. The best spot to see the Lion Head is from the Tuckerman Ravine. It stands proud against the sky above the entire Hermit Lake area. The Tuckerman Ravine Trail, which runs below Lion Head, is the most popular and the most busy. 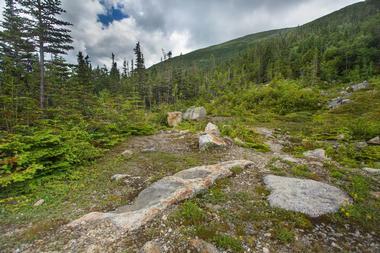 The Lion Head Trail crosses the steep slopes of the mountain before arriving at the Tuckerman Ravine bowl. From there it climbs sharply up Lion Head itself. This trail is also the most popular, and the safest, trail to the summit of Mount Washington in the winter. The summit lies just above the tree line and is exposed and wide, covered in wild flowers in the summer and offering fantastic views of the surrounding peaks on a clear day. Mount Success is a massive mountain in the rugged Mahoosuc Range with two open, broad glacier-scoured granite summits with dwarf evergreens and blueberries growing from cracks in the rock. The northern summit is higher at 3,565 feet and the southern at 3,364 feet is shorter, but offers better views. 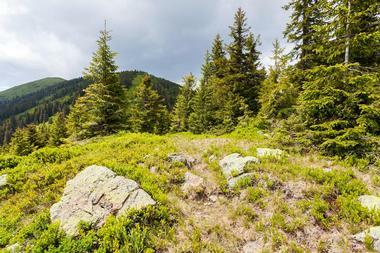 The lower slopes are covered in a typical Mahoosuc boreal forest of dense fir and spruce mixed with deciduous trees. Mount Success is the first summit in New Hampshire that people hiking the Appalachian Trail reach as well as the first real Mahoosuc summit. 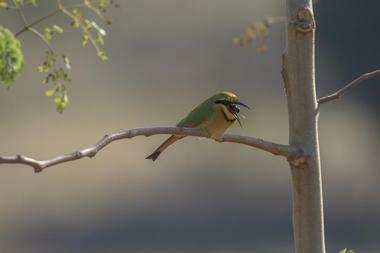 It is difficult to hike Mount Success in a day hike and you need a few days to cross the whole range. Take the Appalachian Trail if coming from the north and the trail to Gentian Pond if coming from the south. The main summit is about 2.8 miles from Gentian Pond. Mount Chocorua, about 12 km from Conway, is one of the most popular mountains in New Hampshire’s massive White Mountains, both with hikers and climbers. During the summer, it is a fairly short hike to the scenic, treeless mountain summit, and in the winter it offers a mild taste of climbing above the tree line in the White Mountains. The 3,475-foot-high peak is a cone of bare, steep, exposed rock slab and it has footholds blasted by dynamite to facilitate climbing. 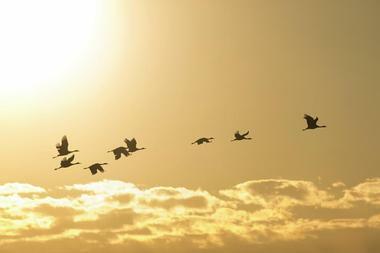 Nevertheless, it is very popular and so visitors should not expect a solitary hike, even in winter. The trailhead to Piper Trail, the most popular trail, is behind the Chocorua Store just off Route 16. Mount Kearsarge North in the Mount Washington Valley is a popular and fairly easy hike, even for families. It is located close to North Conway and its summit offers fantastic views of the Presidentials, Mount Washington Valley, and the Maine interior. One of the interesting features on the mountain is the historical wooden fire tower, which hikers love to climb. A moderately fit hiker can do Mount Kearsarge in little more than 3 hours. Like many trails in the White Mountains, the trail starts to climb gradually, getting steeper and rockier as it goes up. It continues moderately steep with no scrambling sections. While the trail is open enough on the way up to offer some views, nothing can be compared with the breathtaking vista from the summit. The two Baldface Mountain peaks – North Baldface at 3,566 feet and South Baldface at 3,556 feet – are often overlooked by hikers chasing more popular peaks that are over 4,000 feet. 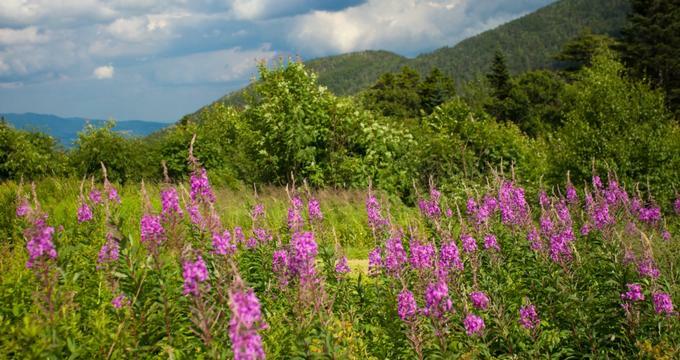 But what makes them so attractive is the fact that a big part of Baldface is above the tree line, which means that the ridge loop provides hikers with almost continuous views in all directions, in particular a spectacular view of Mount Washington as it looms above the Carter Range. The barren eastern spur of South Baldface has an interesting, often slippery, section with ledges, but after you pass the spur, you will climb the summit and all of a sudden there is Mount Washington in front of you in all its glory. North Baldface is a bit higher, but the views of Mount Washington are obstructed by the Carter Range. Also, the trails are less challenging. The main trail to both peaks is the Baldface Circle Trail. ?Mount Crawford is a 3,119-foot-high mountain in the Bemis Ridge, sharing it with the lesser known Mount Hope and Hart Ledge. It is the first peak you reach when hiking up the historic Davis Path. The trail to the summit was built as a bridle path to make the grades easy to moderate all the way to Mount Washington, which is about 15 miles from the trailhead. The trail to Mount Crawford is an easy 5-mile hike with a 2,100-foot elevation gain, and the views of Crawford Notch and the Presidential Range that open up at the summit are fantastic.?? North Kinsman is one of the two mountain peaks on Kinsman Mountain near the Franconia Ridge, a bit lower than the south peak but with much better eastern view of the ridge. The summit of North Kinsman looms high over Kinsman Pond and, from the ledge of the summit, the views of the pond down below are great. If you are coming up from the east, you will pass popular Lonesome Lake, another spot with beautiful views of the area and both Kinsman peaks. Hikers normally combine the two peaks in a day hike. Many of the trails to the summit are rocky and even have to be scrambled in some parts. Some are pure rock and have almost no soil, so expect to have to use your hands to pull yourself up. North Moat Mountain is located in Carroll County, New Hampshire, and is one of the less popular White Mountains peaks. Its rocky summit is 3,196 feet high and has a number of wide ledges and clear views all around. The Moat Mountain Loop Trail that starts at the Diana’s Baths parking area in North Conway is about 10 miles long and gains about 2,800 feet in elevation. The bare rocky summit will surprise you in the summer with a huge number of wild blueberry bushes. You will have to climb some rock walls, but nothing that fit beginner hikers cannot do, so the hike is considered moderately challenging. Bondcliff is a 4,265-foot mountain in the Pemigewasset Wilderness of New Hampshire’s White Mountains. It is located north of the Kancamagus Highway, south of Route 302 and east of I-93. Hiking Bondcliff is great for those who are looking for solitude. It is moderately strenuous with a few rugged sections. There is a short, difficult section before you come to the wide open summit area, where you can finally enjoy beautiful unobstructed 360-degree views of the whole area. It is a fairly long track from the highway, so the hike is not popular with day hikers, providing that wonderful sense of solitude. Bald Mountain is a 2,037-foot-high mountain in the Monadnock Region in the dePierrefeu-Willard Pond Wildlife Sanctuary, with the beautiful Willard Pond on its east side. The mountain offers great hiking, with some trails passing along the pond. From the summit, the view of Mount Monadnock, the Wapack Range, and other surrounding mountains is spectacular. One of the most popular is the combined 2.2-mile-long Tamposi/Bald Mountain/Tudor loop trail with 900 feet elevation gain with a mix of gradual and steeper sections, but nothing major that would require any scrambling. Since this mountain is not very popular, you might be able to enjoy it in pleasant solitude. 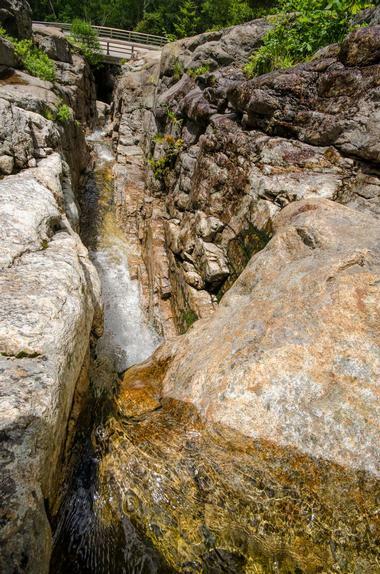 The Northeast Cannonball is a 3,769-foot-high mountain on the narrow ridge between Cannon Mountain and the North Kinsman, and is the highest point in the area. You can get a view of Cannon Mountain from a unique perspective from the wide-open space close to the Cannonball’s summit. The best view of the Cannonballs is from Lonesome Lake. The Lonesome Lake Trail starts at the Lafayette Campground in Franconia Notch and offers a direct route to the mountain summit. It takes 1.2 miles to reach Lonesome Lake and it is 1.1 miles more to the Kinsman Ridge Trail. The trail climbs steeply to the summit, making an 8-mile loop. West Bond is a 4,540-foot-high mountain, a part of the Twin Mountain range northwest of Bondcliff and Mount Bond, the 19th highest peak in New England. It is not very popular among hikers, but its summit offers fantastic unobstructed view of the Pemi Wilderness, South Twin, Galehead, Owls Head, and the Franconia Ridge's major peaks on the east side. There is a spur trail off the Bondcliff Trail leading to the West Bond summit, so count on at least 7 miles of hiking from the nearest trailhead. There are a few more trails you can take if you want to reach the summit in one day. Starting in a historical cemetery in the village of Swanzey in southwest New Hampshire, Mount Caesar is a perfect mountain to hike with kids on Halloween. It is only a mile long and heads up the mountain in a double track path, not technically marked but easy and pleasant, winding through dense, shady forests. 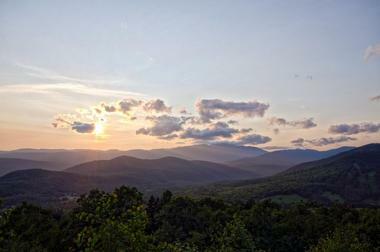 Once you come to the summit, the view opens up to the Monadnocks, Franklin, and Gunn Mountains. The trail is not used much, so you might be able to enjoy it on your own, or with the kids. There are plenty of spaces in the forest to spook them if the cemetery trailhead did not do the job. It also might help to tell them that the summit was used by the local Native Americans as a lookout. East Osceola, the 4,156-foot-high eastern peak of Mount Osceola in the White Mountains, is one of the New Hampshire’s 4,000-footers but it is less famous and less popular than Osceola’s main summit. It is also harder to reach and offers less interesting views, but if you are trying to bag all peaks, it is worth the effort. In the summer, you should hike first to Osceola and then follow the trail eastward along the ridge. The trail is steep and has a short scrambling part known as the Chimney. Another trail that reaches the East Osceola summit goes up the mountain from Mad River Notch just north of Greeley Ponds, along its northeastern ridge. Mount Shaw is a 2,900-foot-high mountain in the Ossipee Mountains in Moultonborough, New Hampshire. It is part of the Lakes Region Conservation Trust property, better known as the Castle in the Clouds estate. The most popular trail to the summit of Mount Shaw is the Shaw Trail, a 6.6-mile-long out and back trail near Melvin Village. This trail starts just off Route 171, heading up to the mountain carriage roads that link to the summit. Both Shaw and Black Snout peaks of Mount Shaw offer fantastic unobstructed views in all directions. In the winter, you can get to Mount Shaw on a snowmobile. Green Mountain is a 1,907-foot-high mountain located near Effingham, New Hampshire. It is part of the Green Mountain State Forest and has a semi-active fire watchtower at the summit, your best chance for a nice view since there are no clear views from the ground. The most popular trail to the summit is the High Watch, a 3-mile round-trip hike with 1,200 feet of elevation gain. While fairly pleasant and not too steep, it is eroded in places and, besides wildflowers along the trail, there are no views except from the tower. The Dearborn Trail from the southeast is a little longer but goes through wonderful hardwood forests and has some ledges at higher elevation. 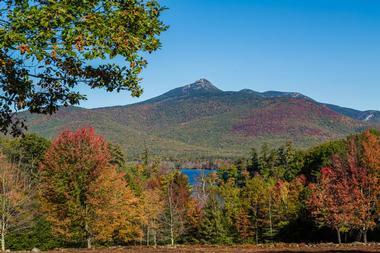 Faraway Mountain is a 2,782-foot-high mountain near Lake Winnipesauke in New Hampshire. It is the second highest summit of the Ossipee Range, a volcanic ring-dike that offers great views from the top. Mount Shaw is the highest. The easiest access to Faraway is by using the Roberts Trail, with great views from the ledges along the way. Its trailhead is on the grounds of the Lake Region Conservation Trust's Castle in the Clouds in Moultonborough. Start with the High Ridge Trail going east. There is a utility trail to the Faraway summit. Mount Percival is a 2,212-foot mountain overlooking Squam Lake in southern New Hampshire, on the border with the White Mountain National Forest. This small mountain is popular for hiking, even with kids, with some good scrambles and great views of the lakes in the Lakes Region as well as the Belknap Mountains and the White Mountains. The most popular trail is the Mount Percival Trail, a 1.9-mile hike with 1,419 feet in elevation gain, steep and rocky. It is exposed in places and considered difficult. It starts to climb very gradually until 1.6 miles, when it becomes steep and rocky. 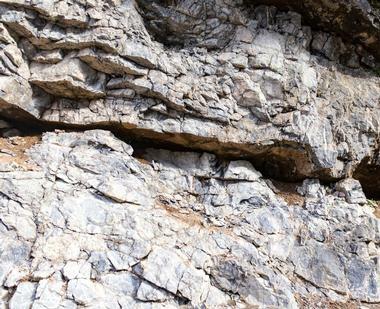 There is an interesting side path through a boulder cave that is even steeper and rockier. South Uncanoonuc is a small 1,312-foot mountain located on the outskirts of New Hampshire’s largest city, known for a road that goes up to the top of the mountain and for the huge number of antennas and cell phone towers. Of course, you can hike up the mountain if you wish and South Uncanoonuc has two nice trails going up. The Uncanoonuc Nature Trail is a mile-long trail that starts by Uncanoonuc Lake. It runs through a lovely evergreen forest that is peaceful and left undeveloped, not preparing you for the destruction at the top. The trail continues along the summit road until the summit, with its antennas. There is a more challenging and steeper trail that follows the route of an old cable car. Big Bickford Mountain is a 3,255-foot-high mountain in Grafton County, New Hampshire. The closest peaks are Scarface Mountain, Priest Hill, and Flat Top Mountain. Hiking up to the summit means bushwhacking through open woods until you get to the few hundred feet of ledges covered in pines, spruce, and oak and open vistas to the east and north. There are no really defined trails, but because the mountain is fairly small, as long as you keep going up you will reach the summit. The “trailhead” is about a half a mile north from the parking lot for the Skookumchuck Trail. From there, continue on a snow mobile road.